Der Artikel Orphan: Lonly At Night (Collector's Edition) (Remastered & Reloaded) wurde in den Warenkorb gelegt. 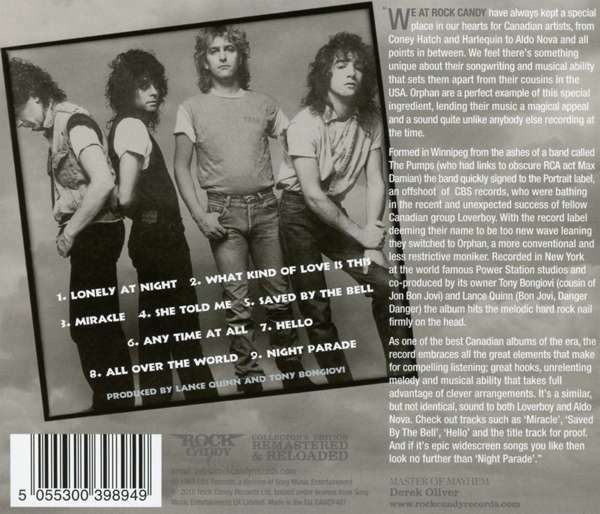 Special Deluxe Collector’s Edition / Fully Remastered Audio / One of Canada’s best kept AOR secrets / 12 page full colour booklet – 4, 000 word essay, enhanced artwork, rarely seen photos and new interview - WE AT ROCK CANDY have always kept a special place in our hearts for Canadian artists- from Coney Hatch and Harlequin to Aldo Nova and all points in between. We feel there’s something unique about their song writing and musical ability that sets them apart from their cousins in the USA. 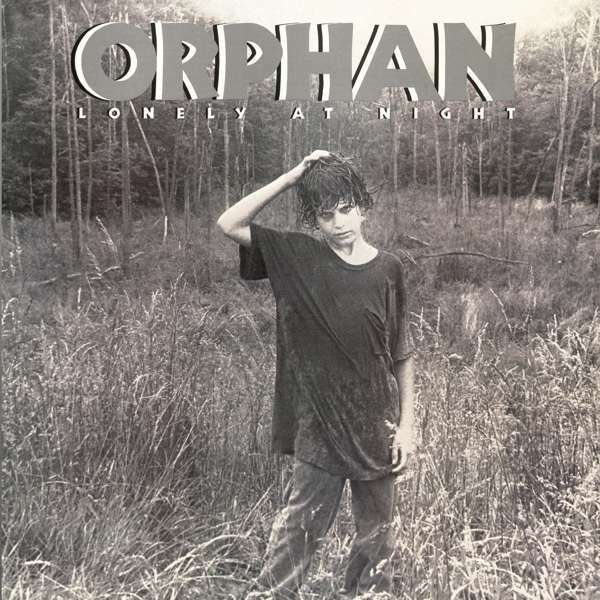 Orphan are a perfect example of this special ingredient, lending their music a magical appeal and a sound quite unlike anybody else recording at the time. Formed in Winnipeg from the ashes of a band called the Pumps (who had links to obscure RCA act Max Damian) the band quickly signed to the Portrait label, an offshoot of CBS records, who were bathing in the recent and unexpected success of fellow Canadian group Loverboy. 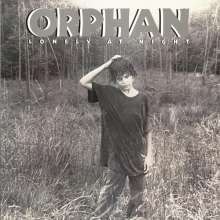 With the record label deeming their name to be too new wave leaning they switched to Orphan, a more conventional and less restrictive moniker. Recorded in New York at the world famous Power Station studios and co-produced by its owner Tony Bongiovi (cousin of Jon Bon Jovi) and Lance Quinn (Bon Jovi, Danger Danger) the album hits the melodic hard rock nail firmly on the head. As one of the best Canadian albums of the era, the record embraces all the great elements that make for compelling listening; great hooks, unrelenting melody and musical ability that takes full advantage of clever arrangements. It’s a similar, but not identical, sound to both Loverboy and Aldo Nova. Check out tracks such as ‘Miracle’, ‘Saved By The Bell’, ‘Hello’ and the title track for proof. And if it’s epic widescreen songs you like then look no further than ‘Night Parade’.